8 Amazing Vegan Wallet Brands - Do You Know Them All? Home » Vegan Apparel & Gear Guides » Wallets » 8 Amazing Vegan Wallet Brands – Do You Know Them All? If you're looking for a vegan wallet, then knowing the brands that exist is a good place to start. In this guide, we've listed out 8 companies that make great looking and functional wallets made of faux or synthetic materials. Tree Tribe offers fabulous wallets made from vegan leaf leather. Yes, leaf leather! Using teak tree leaves as a strong yet supple vegan leather alternative, the brand creates totally unique wallets with intricate leaf impressions ingrained in the material. As an earth-conscious brand, Tree Tribe strives to plant 10 trees for each and every sale. You can buy Tree Tribe men's, women's and unisex wallets in pretty greens, terra cotta browns and chic black on Amazon. For upscale vegan goods, check out Matt & Nat. 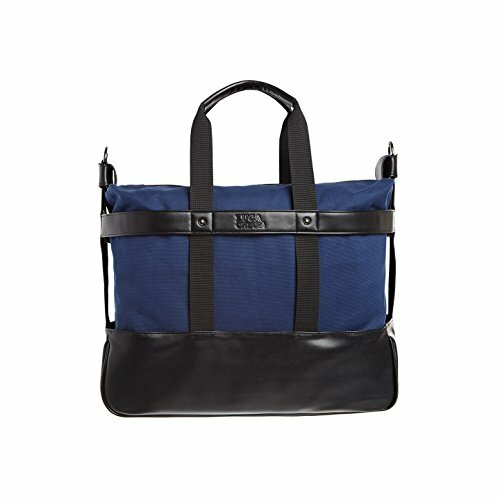 The PETA-approved company makes everything from vegan leather wallets for men and women to office-friendly bags and designer shoes. 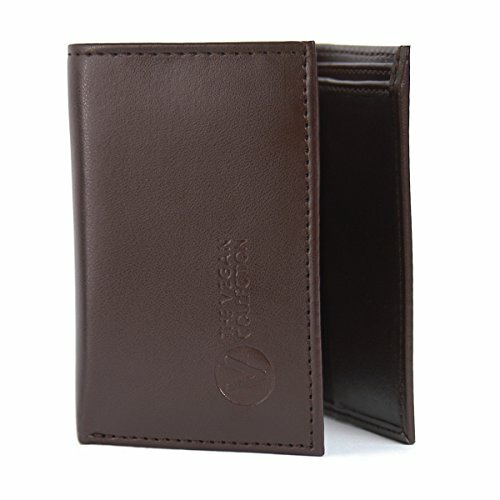 The selection of wallets for women is particularly extensive with lots of different colors and styles. Generally, Matt & Nat selects robust, earthy hues and peaceful neutrals for its wallets—see the women's Connolly faux leather wallet in purple Fig or Cognac faux suede for good examples. Don't forget to peruse Matt & Nat's Vintage Collection for modern takes on the classics. Southern California company Doshi is committed to supplying some of the finest vegan wallets money can buy. Using resilient microfiber that simulates the look of leather, Doshi makes men's and women's wallets that look like a million bucks even though they're not very expensive. 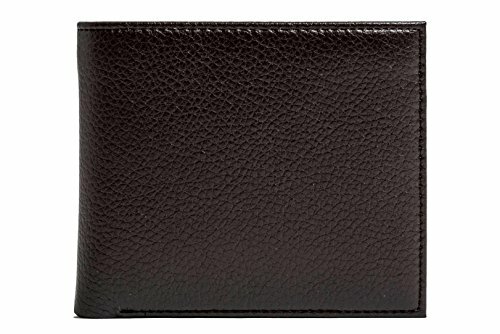 Take a look at the men's brown pebbled faux leather wallet we picked out on Amazon for a sense of Doshi's sophisticated vibe. Melie Bianco states on its website that all of its leather-like products are actually vegan. That's good to hear because Melie Bianco offers some great day and night wallets for women in gorgeous vegan leather. Amazon is an easy place to find Melie Bianco wallets and accessories, but you can also pop in on Zappos and Nordstrom Rack to see what's in stock. If you don't mind dropping just a little more coin on a wallet, Luca Chiara's vegan wallets for women and men are quite stunning. They're made of soft, supple vegan leather, and you can see the quality from a distance. The New York-based brand takes its inspiration from Italian design to generate innovative, highly stylish wallets you won't find anywhere else. But you get more than a fashionable wallet when you buy Luca Chiara. The company advertises RFID-blocking technology to protect your personal data from remote scanners. That's pretty cool. Check Amazon for updates on Luca Chiara wallets. If you're interested in a vegan leather alternative that isn't straight faux leather, give Corkor a look-through on Amazon. This PETA-backed brand makes long and short bifold wallets out of renewable cork. The resulting products are truly one-of-a-kind wallets with etched patterns that form naturally in the cork bark. Some Corkor wallets look beautifully mottled while others feature interested striated patterns that look similar to wood. 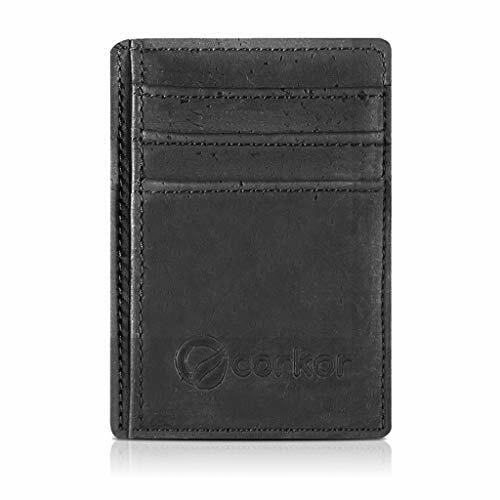 Corkor also does RFID-safe wallets, giving you a wide selection of form, style and function. Blending recyclable and super sturdy Tyvek material with snappy designs developed by artists, Paperwallet does a variety of slender, flat and miniature wallet types. The Micro Wallet is incredibly thin and space-saving, holding your cash and eight cards while securing your data with RFID tech. These funky wallets are fun, slim, water-proof and tear-resistant—what more could you ask for? 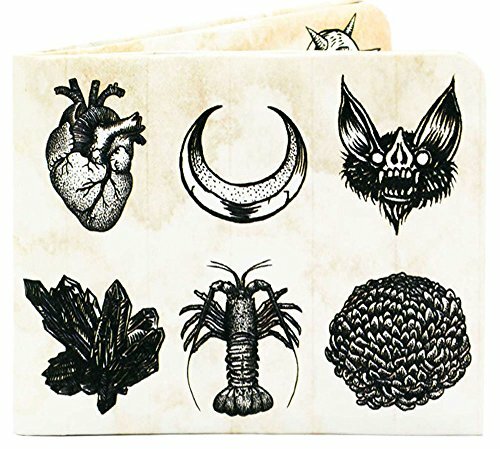 The Vegan Collection brings you all-vegan wallets from Los Angeles. As animal lovers, the folks at The Vegan Collection donate 25 percent of the company's earnings to animal rights organizations. If you're looking for a down-to-earth vegan wallet, this is your brand. The unisex trifold and bifold wallets are functional, organized and classy in neutral tone microfiber. 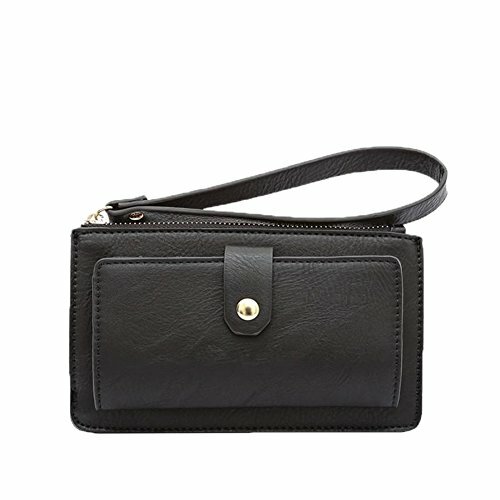 Amazon is a great source for The Vegan Collection wallets, and the selection is frequently updated.